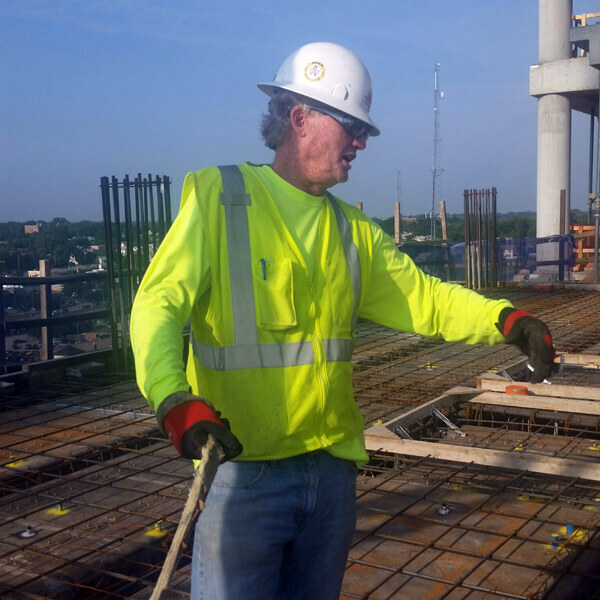 Phil McKeone is the President of Daedalus Construction and has over 45 years of experience in concrete construction. Phil was born and raised in Nebraska. He is a Creighton Prep graduate and began his career in construction while attending Creighton University. He founded Daedalus Construction in 1977. Phil is actively involved in the day to day operations ensuring that all Daedalus projects are successful. John Patrick McKeone joined his brother Phil at Daedalus Construction in 1989 until his untimely death in 2003. As vice-president, John made countless contributions to Daedalus Construction. Louie Dircks began his career with Daedalus Construction in 1982, working his way up through the ranks. Louie has been vice president of Daedalus Construction since 2003. His experience is in civil construction work and managing the concrete construction of many high profile buildings and facilities. He directs the field operations for our large projects. Jim Holland is Chief Estimator at Daedalus Construction. He graduated from the University of Nebraska Lincoln in 1986 with a B.S. in Construction Management. With his extensive experience in the construction and estimating fields, Jim is responsible for the planning and development of construction cost estimates. Chad Huntley is Project Manager and Estimator at Daedalus Construction. He graduated from the University of Nebraska Lincoln with a degree in construction management and has over 8 years of project management experience. Jeff Jenkins is Project Manager at Daedalus Construction. He graduated for the University of Nebraska Omaha with a degree in construction engineering technology and has over ten years of experience managing commercial construction projects. Jeff especially enjoys challenging vertical concrete construction. Our field employees are lead by a team of foremen with over 200 years of experience at Daedalus Construction. They are known for their skill, efficient work and expertise in concrete construction.